Unit18 Automotive is a one-stop shop for all your vehicle modifications in Milton Keynes. We specialise in track day preparation and in-car entertainment installations for car enthusiasts throughout Milton Keynes. 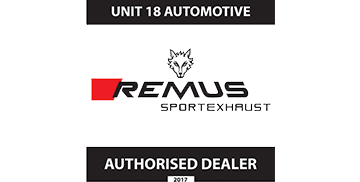 Unit18 Automotive Milton Keynes, originally began life as a performance shop for all kinds of vehicle modifications and track day preparation work and this is something we take great pride in specialising in. If you have a project in mind, come in and see us for a chat to see how we can help you to achieve your performance dreams. Alternatively, do get in touch via our contact page and we will be more than happy to discuss any vehicle modifications. We have carried out a variety of track day builds; including the conversion of a series one Peugeot 106 Rallye with the addition of a 177hp Peugeot 106 GTi engine. We have a wealth of experience in full engine conversions and over the years we’ve carried out some really interesting work, some of our favourites being: 350hp Audi TT engine into a Skoda Fabia, inc retrofit intercooler and boost pipework plus an upgrade to the cooling system. We even included PowerFlex bushes to the entire under body of the car. We custom made an exhaust system to suit and had it remapped. Unit18 Automotive, Milton Keynes has the facilities to perform ECU (engine control unit) and engine re-mapping to boost vehicle performance. ECU re-mapping results in increased performance and in some cases, better mpg too. If your vehicle is older than 4-years old, we can normally remap the vehicle through the diagnostic port. On newer vehicles, we would normally need to remove the ECU and use the ‘bench flash’ method; which can sometimes take a few hours. To find out more, visit our page dedicated to the ECU Remapping services we offer. We can supply and fit a full range of lowering springs or coil-overs to suit your vehicle which we can set up for various uses; including track or road. To ensure a perfect setup, we have the facilities to set up geometry using our Hunter Pro Align 4 Wheel Alignment machine. We offer a wheel arch rolling service using a Polyurethane Wheeled SARD arch roller which offers up to a 15mm flare on most models. In many cases, if you lower your car and have wider/lower offset wheels, you may find the tyre sidewall starts to scrub under full bump – arch rolling will provide a solution to this. Although, please bear in mind if your paintwork is in poor condition arch rolling may cause more damage. Is your steering wheel vibrating at certain speeds? Or perhaps not pointing straight anymore? If you are you having to make corrections to stay in a straight line or have your tyres worn unevenly, you may need a wheel alignment. Wheel alignment or wheel balancing is something that we can check & correct quickly and easily – using our state of the art computerised Hunter Pro-Align equipment and 4-post alignment ramp. We can supply and fit a wide range of vehicle accessories; including new stereo head units, amplifiers, alarms, OEM cruise control systems, parking sensors and bluetooth communications. We can provide full vehicle performance modifications and track day preparation. In car entertainment installations and communication systems approved by manufacturers. Full wheel alignments, corrections and balancing. Bush upgrades for any vehicle. "A project build entrusted to Alistair and his team threw up a number of challenges along the way all of which were handled with honesty, punctuality and professionalism. Thank you"